Get ready -- according to Punxsutawney Phil, the United States is in for a long winter. The famous groundhog emerged from his temporary home on Gobbler's Knob in Punxsutawney, Pennsylvania, and was greeted by his own shadow. As legend has dictated for over 130 years, if Phil sees his shadow, six more weeks of winter lie ahead. Groundhog Day has been commemorated on February 2 in the United States and Canada since 1887. Lore states that Punxsutawney Phil has been around since 1886, though scientists say the lifespan of an average groundhog is roughly six years. 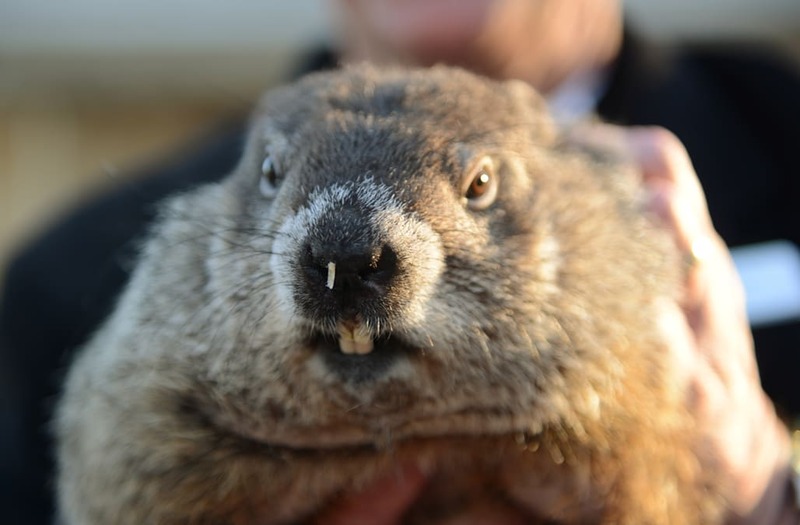 Over the years, Phil has predicted an early spring only 18 times. In 1942, the groundhog only saw a partial shadow, and the official record stated that his shadow was "blacked out" by war clouds from World War II. According to Stormfax, Punxsutawney Phil's predictions have been right 39% of the time. However, members of the Punxsutawney Groundhog Club Inner Circle claim that the groundhog is always correct, and any misunderstanding is due to human error. (Original Caption) Pittsburgh, Pa.: The big day for groundhogs is February 2nd and the weather prediction for western Pennsylvania for that day is cold with a possibility of snow or rain. The star of the day is Punxsutawney Phil, a groundhog who lives at Goobler's Knob, but who won't make his appearance until 2/2 to forecast how long winter will last. However, Pittsburgh won't make his appearance until 2/2 to forecast how long winter will last. However, Pittsburgh Greta took a peek outside her zoo cage and beat a hasty retreat 2/1, no sun just cold winds. It looks like Punxsutawney Phil already has his weather prediction, more winter.